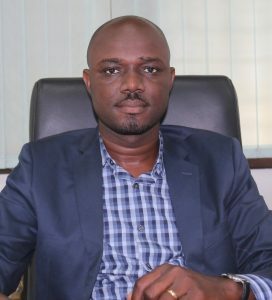 The Africa Centre for Energy Policy (ACEP) has asked the government to bridge the development gap between the south and the north through the development of a strong and vibrant railway sector in the country.That, the centre said, must be done through the increase in investment in the railway sector to help facilitate sustainable local socio-economic development in Ghana. The Head of the Policy Unit at ACEP, Ms Pauline Anaman told the GRAPHIC BUSINESS at a forum on August 9 in Accra that the development of a vibrant railway sector was key to economic development of the country. She said the railway sector constituted an important economic activity in most developing countries. It is also an important component that links economic activities in the hinterland with cities. She stated that it was important for the government to phase out the open-door policy and adopt open and competitive bidding processes in the award of contracts. Going forward, he advised the government to increase investment in geo-scientific data generation to reduce geological risks of mining areas. The head of policy unit observed that the government should reassess the accuracy of the data handed to it by investors on the Sheini iron ore wealth. She said the government must establish a minerals revenue management framework to increase efficiency and accountability in the use and management of mineral revenues for current and future generations. She underscored that it was also equally important to review some existing mining sector policies and pass new ones to secure the best outcomes from the Sheini iron ore development. Ms Anaman indicated that it was important for the government to increase investment in geo-scientific data generation to reduce geological risks of mining areas. This, she said, would help boost competition for mining leases as investor interests will be heightened and position the country to have a stronger basis to define fiscal terms that balance state and investor interests in a fair and equitable manner. She noted that the Sheini Iron Ore project presented a great opportunity for the country, especially for the resident communities because there was no concession agreement signed yet.